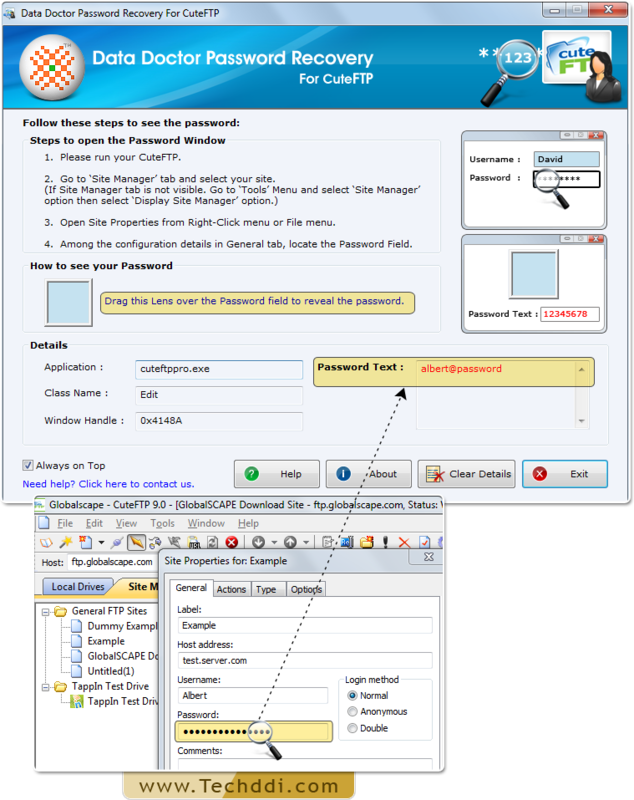 Password Recovery For CuteFTP shows hidden asterisks passwords, lengthy and multilingual passwords from CuteFTP Software in countable steps. Graphical User Interface enables users to handle software easily. 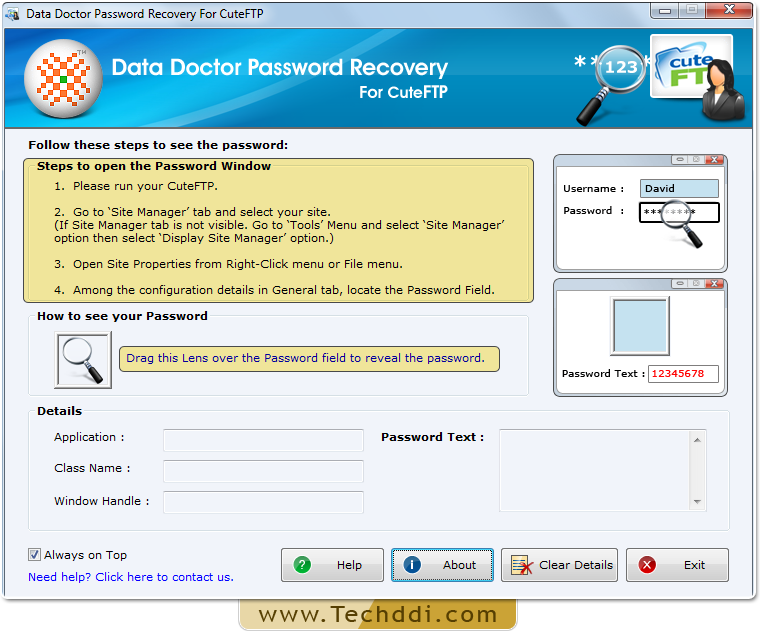 Password Restoration using Password Recovery Software For CuteFTP. 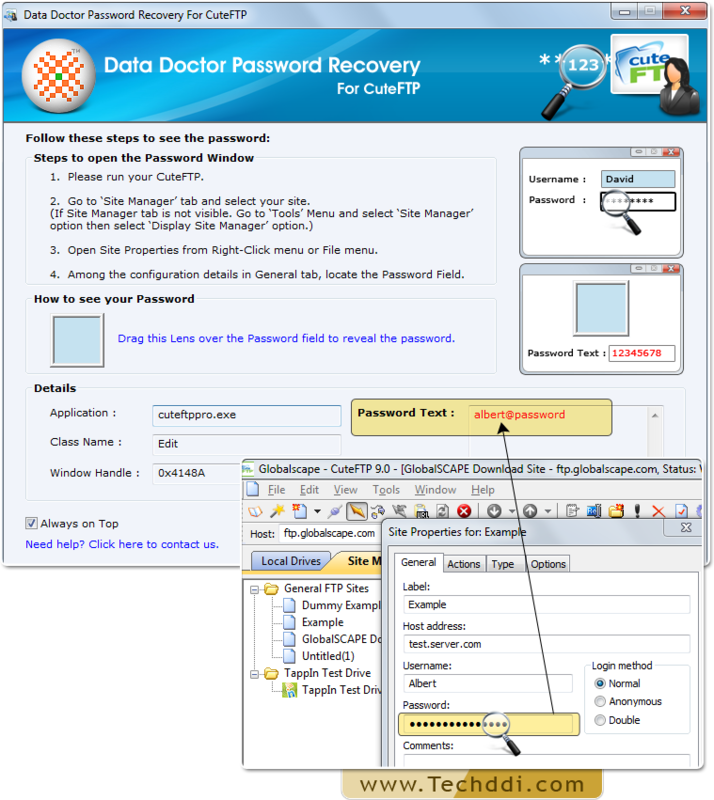 Install and Run Password Recovery For CuteFTP. Run CuteFTP and Go to ‘Tools’ option to select ‘Site Manager’ option. Select your site from ‘Site Manager’ tab. 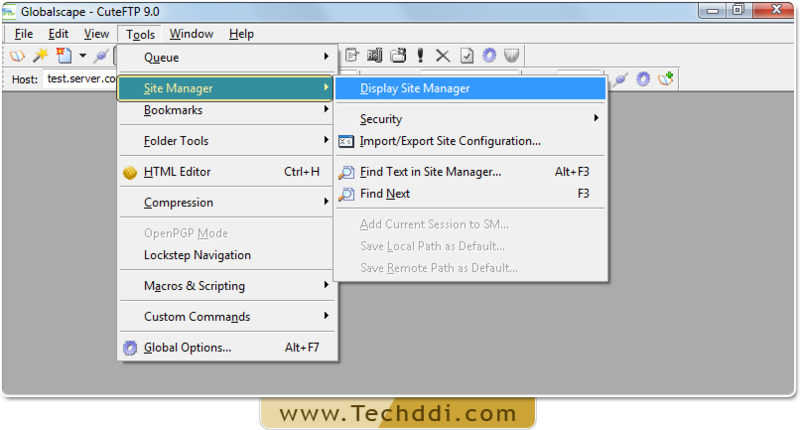 Open Site properties either from Right-Click or File menu. 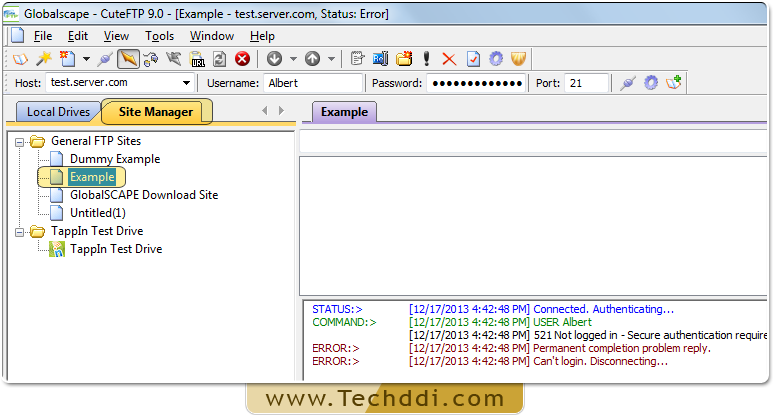 Go to ‘General Tab’ among the configuration details and locate the password field. To recover your password, drag lens over the password field.